Now many love shopping their clothes (garments) from online stores. When you buy garments from online store, it gives you size options to choose from. Also most sellers provide basic size chart so that you can match the product size with your body measurement. Even if you buy garments shirts, dress, jeans or pant from a retail store you need to know the correct size that would fit you best from other sizes. How to know which size will fit you better? It is your body measurements. There are 3-5 measurements you need to know of your body for top and bottom wears. Now next question is how to take body measurement for those specific measuring points? Follow Gap's measuring tips to measure your body. GAP has provided size chart with measuring tips of all apparel product categories. You can easily change the product categories using drop down menu. 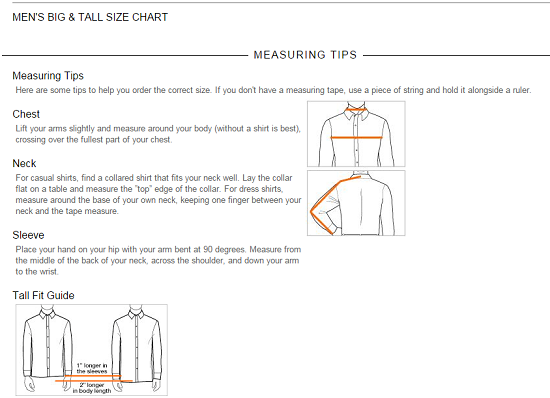 For an example, I am showing here GAP's measuring tips for men’s dress shirt. Follow this URL to connect GAP's size guide and measuring tips. A guide for taking body measurement for self. GAP, the apparel brand uploaded an easy tool to know you size.